Folate, a B vitamin that’s found in a number of different foods, may play a key role in the health of a woman—and the health of the children she gives birth to. The Canadian Paediatric Society (CPS) says that pregnant woman, postpartum moms and babies in Canada are not getting enough Vitamin D.
Experts have found that mothers who have adequate levels of folic acid in their bodies may be less likely to give birth to children with neural tube defects (NTDs). As well, folate may also help in preventing a number of other health problems that can be experienced during pregnancy, including anemia, birth defects, and complications such as preeclampsia and spontaneous abortion. 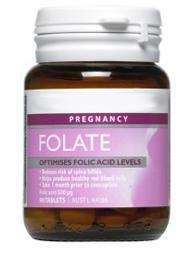 After the birth of a child, folate may also help a mother’s body get ready sooner for another pregnancy. Although it occurs naturally in food, a typical woman of childbearing age gets just 0.2 mg of folic acid through diet alone. 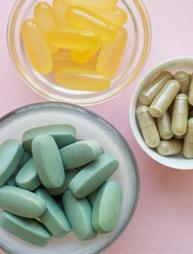 Because many pregnancies are unplanned and NTDs occur very early in a pregnancy—often before a woman knows she’s pregnant—experts recommend that all women of childbearing age take in between 0.4 mg and 1.0 mg of folic acid every day. And women who suffer from epilepsy and diabetes or who have a family history of NTDs should take in more, as much as 5.0mg daily. After giving birth, many women appear to suffer folate deficiency for as long as 6 months; these women, in particular, should think about supplementation. However, always consult your doctor before starting folate supplements. Folic acid levels that are too high can possibly lead to an increased risk of multiple births, neurological disorders, and breast cancer. With a little preventative action, such as storing food in the fridge in tightly covered containers and cooking in small amounts of water for as little time as possible, folic acid can be preserved in the foods we eat. Cooked fava, kidney, roman, soy and white beans, lima beans, chickpeas and lentils, spinach, asparagus, orange juice, canned pineapple juice, peanuts, wheat germ, sunflower seeds, romaine lettuce, enriched pasta and bagels made with enriched flour. Cooked corn, sprouted mung beans, broccoli, green peas, brussel sprouts, beets, oranges, melons, avocado, eggs, walnuts, cashews and English muffins made with enriched flour. Now that you're pregnant, taking care of yourselves has never been more important. It's especially important to avoid or give up smoking, alcohol and other harmful drugs. Not only can they affect your health, but also your unborn baby's health and development. Read on to learn about the many harmful effects of smoking, drugs and alcohol during pregnancy. We've also included a few important tips to help you cut down or quit their use. If you continue smoking during your pregnancy, it's possible for your baby to be born too soon or smaller than average. It's also possible for your baby to die or have health problems, learning disorders, visual problems, respiratory illnesses and cerebral palsy. If you are exposed to second-hand smoke in the home or workplace, your baby may also be at risk for these problems as well. Quit, even if it's late in your pregnancy. Quitting or decreasing even late in pregnancy can improve birth weight. Call your local health department, community centre or healthcare provider for further information about programs in your area. Attend a stop smoking program. Line up people to support you in trying to achieve your goal. Starting to smoke again is always a danger, and is more likely without good support. Strongly encourage your other family members to stop smoking around you. Remember that smoking is an addiction that is difficult to overcome. It may take you several attempts before you succeed. People who try to quit require a great deal of support. Here are some more tips on how you can quit smoking. Adapted with permission from 'Prevention of Low Birth Weight in Canada: Literature Review and Strategies,' 2nd edition (1998), Best Start Resource Centre. Are you trying to stop smoking? It is not an easy habit to quit and many people try several times before they are successful. Talk to your partner, family and friends and enlist their help in your goal to quit. Decide on a date that you will quit and let your partner, family and friends know. Talk to your doctor about your decision to quit, they are another good support. Decide on a plan on how you will stop smoking – will you use some self-help booklets or printed information? Or will you attend a group program or smoking cessation clinic? Consider learning other ways to cope with stress that you can use once you start stop smoking. Buy sugarless gum, hard candies or veggie sticks (carrots, celery, etc.) to use when you have the urge to smoke. Best Start is Ontario’s Maternal, Newborn and Early Child Development Resource Center their website includes information about becoming smoke free. Center for Addiction and Mental Health (CAMH) their website includes information on a variety of addictions including smoking. Canadian Council for Tobacco Control lists smokers' help lines, self-help on the web and self-help publications. Health Canada. Programs through the Ontario Lung Association. Health Canada website has a section that is devoted to tobacco and there are resources listed to help in smoking cessation. Heart and Stroke Foundation website includes information on how to stop smoking. Smokers' Helpline [Ontario] 1-877-513-5333 (Available from 8:00 am to 9:00 pm Monday through Thursday, 8:00 am to 6:00 pm on Friday, and 9:00 am to 5:00 pm on Saturday and Sunday. Learn more about the effects of Smoking During Pregnancy. The Canadian Paediatric Society (CPS) says that pregnant woman, postpartum moms and babies in Canada are not getting enough Vitamin D. This is especially true for those that live farther north than 55° latitude (including many Northern Aboriginal Peoples) where there is limited exposure to sunshine, a natural source of Vitamin D. Darker skin tone can also interfere with the absorption of natural Vitamin D. Breastfed babies whose mothers are low in Vitamin D are most likely low in Vitamin D too. Vitamin D is important for cell growth and metabolism, as well as for healthy immunity. According to a 2006 study, low intake of vitamin D during pregnancy has been significantly associated with low birth weight babies. Rickets – an illness that causes poor bone development – is still present in Canada’s North, but could be prevented with Vitamin D supplementation. Vitamin D is found in a few foods and most commonly in fortified milk and sunshine. The levels of Vitamin D from these sources may be inconsistent and not enough for breastfed babies and for pregnant and breastfeeding women. CPS recommends all exclusively breastfed babies receive 400IU per day and that babies living in the North receive 800 IU per day during the months of October through April. Pregnant and breastfeeding women are advised to speak to their doctors about taking 2000IU per day.